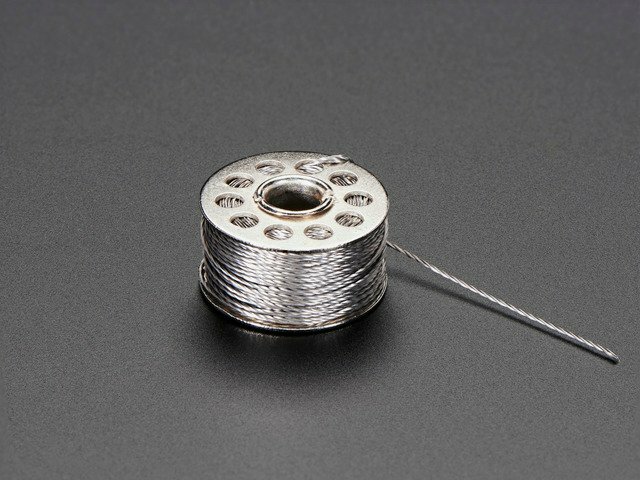 We carry this thread in 2 and 3 ply. 2 ply is a little thicker than every day polyester or cotton thread but still thin enough to be sewn by hand in medium-eye needles or with a sewing machine that can handle 'heavy' thread. Because it is strong and smooth, its ideal for any wearable/e-textile project. It also has fairly low resistivity, 16 ohms per foot so you can use it to drive LEDs and other electronic components that use under ~50mA. 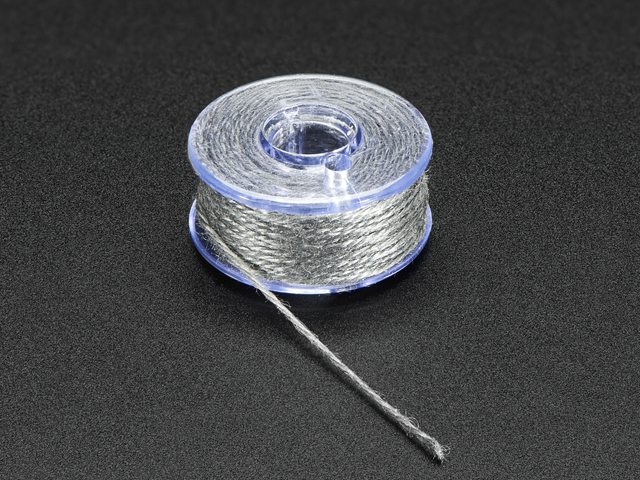 Our 3 ply thread has a resistance of 10 ohms per foot for components that use under ~100mA. 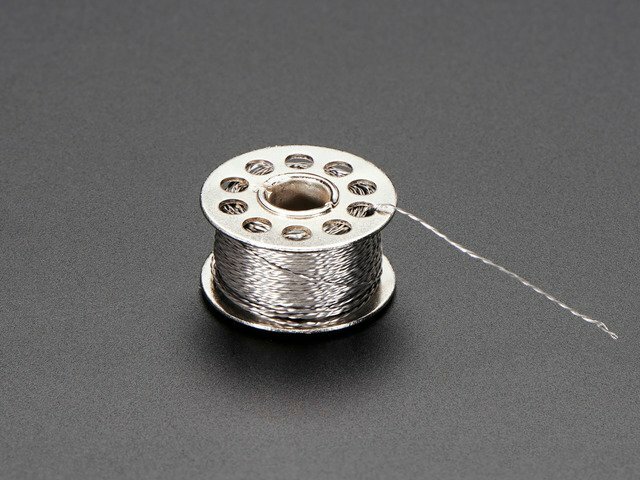 It is thicker than standard cotton/poly thread and can be used by hand or in industrial sewing machines. Cut a length of thread roughly the length of one arm. Much longer and the thread will start to be unwieldy and twisted. Thread a medium size needle with the conductive thread. You may need to moisten the thread end to help it stay pointy for threading. Place your fabric in an embroidery hoop. Beginners will find this helps a TON when learning. For more information on using an embroidery hoop correctly, check out our Cross Stitch tutorial. More advanced folks may wish to stitch directly to a stiff garment. 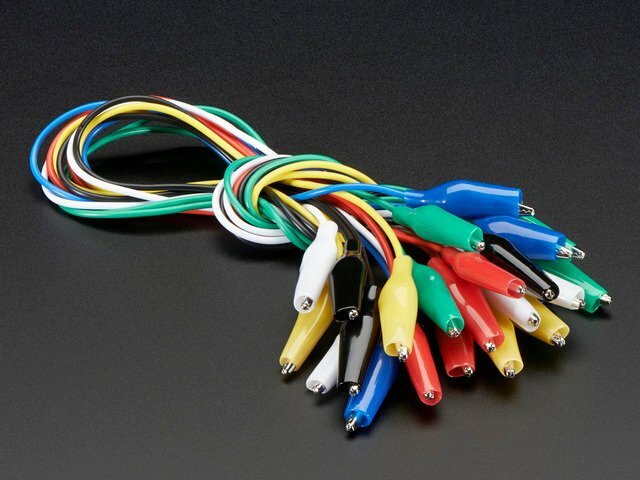 The thread must travel between components to connect them, while avoiding other paths of conductive thread in the circuit. The thread acts like uninsulated wire or traces on a circuit board, but this circuit board is made out of fabric! The most straightforward connection is a running stitch. You can also learn many more hand embroidery stitches which can have decorative or functional appeal in your project. As you stitch along, pause periodically to whip-stitch a chainable pixel's ground pad (-). Now that all the pixels are anchored by one pad, clean up any stray threads on the back. Tie a knot with a sewing needle! Insert the needle under a previous stitch. Pull the thread almost all the way through, leaving a small loop. Put your needle through this loop and pull the thread through, creating a tight knot. Don't forget to seal the knot with Fray Check or clear nail polish before trimming the tail closely. 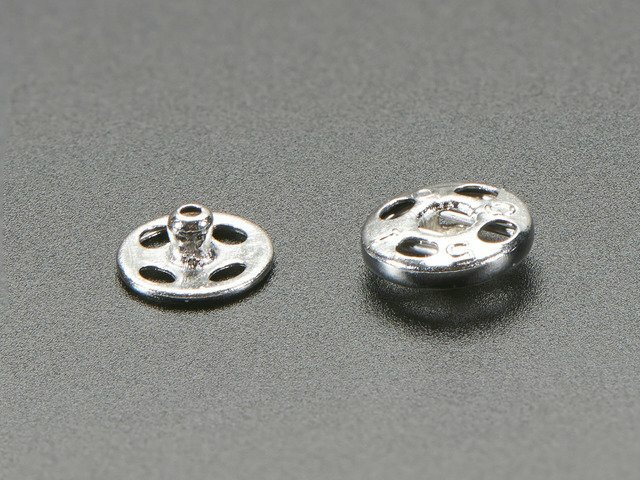 You can use our 2 ply conductive thread in the bobbin of a sewing machine. Thread the machine's needle with plain thread. 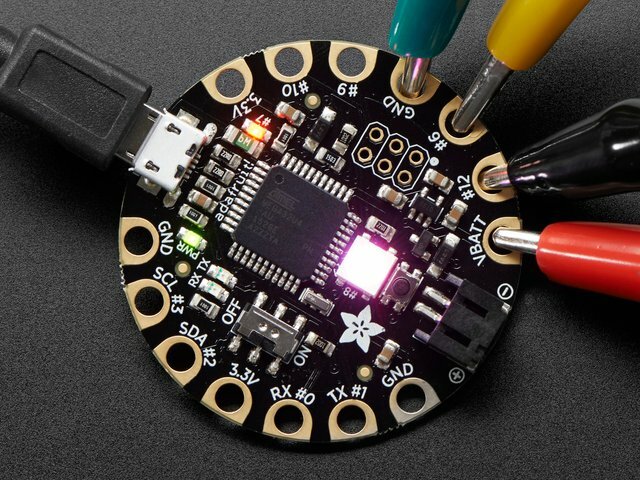 Use a water-disolvable marker to plan out your circuit traces. You may need to adjust the tension on your machine. Experiment on a scrap piece of fabric and examine the balance between the conductive and regular thread. Adjust the tension and experiment again until you are satisfied. 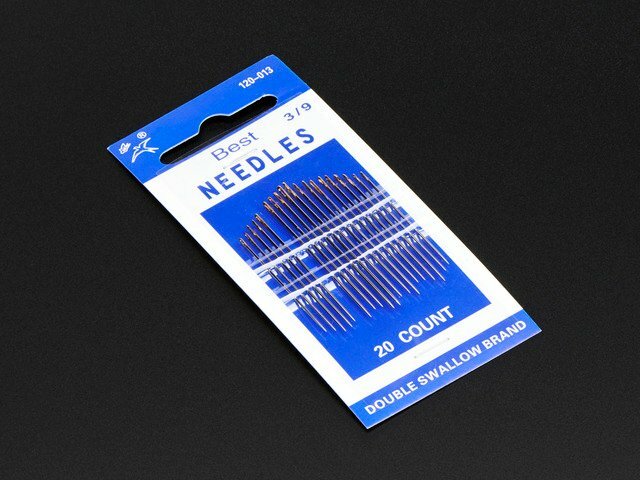 Leave long tails of conductive thread at the ends of your stitching lines in case you need to pick them up with a hand sewing needle and connect to other components. Spritz away the markings with water. Be sure to let the fabric completely dry before powering up your circuit. This guide was first published on Jan 02, 2013. It was last updated on Jan 02, 2013.